RIVERFRONT COMMERCIAL OPPORTUNITY!! This property would be great for condos, a restaurant, commercial use or anything that needs highway and river frontage. 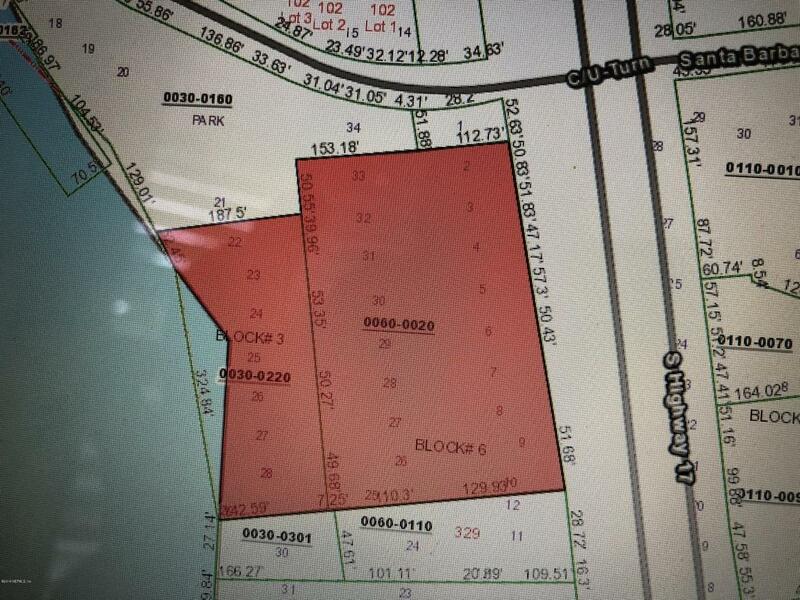 This listing is for 2 parcels totaling 4.04 acres with 400' on the St. Johns River and 450' on HWY 17. There aren't many Riverfront parcels with HWY frontage left and this is offered at a fraction of what comparable properties are listed for. County Water & Sewer Available!